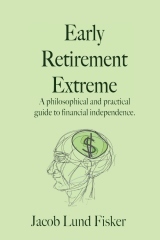 The title of the book is “Early Retirement Extreme — A philosophical and practical guide to financial independence”. You can find the links to get it in the upper right sidebar. The aim of the book has been to present the theories and principles behind extreme early retirement in a comprehensive and cohesive fashion. It contains everything you would want to know about financial independence and retiring early. In a way it is a way for me to achieve canonical closure on this subject. Technically I can just refer people to the book now. I don’t have to keep repeating myself over and over on the blog anymore. It took a lot of thinking/work/research to do that since my blogging has been less than organized(*) and also incomplete in terms of covering the material. The result is that the book reads more or less like a text book. I think it contains everything you want to know about extreme early retirement. It will give you the philosophy, the generalized principles, and examples and techniques of how to apply them. (*) This explains the repetitive blogging. The book does not contain any step-by-step plan (although I will write such a book if the demand for it proves sufficiently high). Instead it gives you the tools to formulate your own plan. The reason for this choice is the realization that everybody’s situation is different. 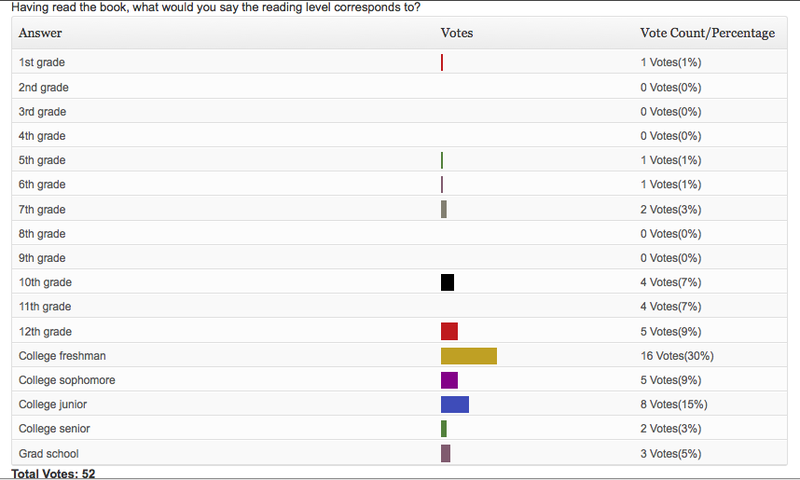 In my experience only a few people who read my blog are willing to follow prescriptions to the letter. Most people prefer a more moderate approach or more importantly their own approach. Since everybody has different goals, the book has been written in a way to allow readers to formulate their own plans while focusing on increasing their economic efficiency to the degree they desire. In a world focused on profit-maximizing and everything being simple, quick, and easy, saying the following will probably cost me a few sales, but I’d like to point out that this book is a challenging read, not a quick read, nor an easy read. There is not a whole lot of hand-holding and there are no personalized stories featuring Jack and Jill. It contains topics spanning subjects such as business operations research/management, personal finance, economics, ecological economics, sociology, and some related personality psychology. Learning everything in the book + references would in my opinion correspond to an MBA in personal economics. This is not a book which will teach you how to get rich by making a few phone calls. If this is what you’re looking for, I’d rather you don’t read it. It does not have lists of N tips to do X. You can find those in other books. In comparison, books aimed for a mass audience are generally written for a 6th grade reading level. So who should buy it? I have put a lot of work into the book. I suspect that if you like the blog, you’ll love the book. So if you’re a regular reader of the blog, seriously consider the book. If nothing else, it’ll be like reading a two years worth of writing, which have been edited, proofed, and neatly organized in a cohesive manner. People who are tired of memorizing lists of 3000 ways to save money and want to understand the general principles of why these tips work so they don’t have to memorize lists anymore. Bloggers looking to write about something other than coupons and IRA funding limits. People who want to cut their grocery bill to a quarter rather than in half. People who want financial security BEFORE starting a family. People who want to change career, e.g. white collar workers who want to learn a trade and blue-collar workers who want to go to college. People who want to start a business without having to take on debt to support themselves during the startup phase before the company makes money. People who are concerned about the way consumerism is affecting the environment and who want to do something about it rather than just fly around to conferences and talk about it. In particular those who realize that buying a $4000 electric bicycle made out of sustainably harvested bamboo and lithium batteries isn’t as “green” as fixing up an old bicycle. Middle class people who feel trapped in their lives and who work 9–5 for five or six days a week and yet feel they’re getting nowhere financially speaking. People who feel trapped by their mortgages, car payments, bills, lack of savings, and few remaining years before retirement. People who feel that they haven’t saved enough to enjoy retirement and who need to change their financial course rather quickly. As a gift from consumers who do not understand why you don’t want more stuff (yes, I do see the irony in this). If you’re still at the novice stage of looking for context-free tips and tricks, you’re likely to miss the point of the book. I’d suggest reading the blog as it is more focused on tactics and doesn’t go into strategic principles to the same degree as the book. Anyone looking for a guaranteed “financial independence”-plan to copy. The book contains no plans whatsoever. Rather it gives you all the tools to make your own plan. It’ll “teach you how to fish”, but it won’t “give you a fish”. Anyone looking for a get rich quick, easy, and simple scheme. Sorry, like any other valuable skill, ERE is hard work (but oh so worthwhile). If you’re looking for a book you can breeze through in a couple of hours. It’s more like a one semester course. Anyone whose self-worth is heavily invested in their degree, their corporate title, their house’s curb-appeal, or their new car. The resulting cognitive dissonance might be too much to bear. YOU’RE NOT READY FOR THIS! It terms of length it corresponds to 150–250 blog posts. However, this is not one of those blog to book projects where the author strings together material from their blog and pass it off as a book. The book has been written independently of the blog. I probably have to confess something here. Once I started writing the book (June 2008), I saved my best ideas for the book—if you wonder where all the diagrams I used in my early posts went; well, now you know. They’re in the book, so unless you prefer diagrams over narratives, don’t read the book. You can see a table of contents by clicking on the link. I don’t really think I need to provide a writing sample, but you can download a free one in kindle-format on amazon if you must—it contains all of chapter 1 and some of chapter 2. Otherwise, just consider some of my better blog posts and imagine how they’d be like if they followed a coherent structure and had no typos or grammatical mistakes Yes, the book was edited and planned out. The blog posts aren’t. You can also check out some favorite quotes. These days it has become popular to write e-books. If it was a traditional PDF e-book with their big margins, double line spacing, and fancy stock photos, the book would about 500 pages long. This would probably be divided into 4 e-books of 125 pages each and packaged with a bunch of mp3 files interviewing my blogger friends discussing how *awesome* we are. Given the amount of content—about 2-4 times more than a typical e-book offering—I’d sell the package for a cheap but fair one-time price of only $197 ($1347 value 😛 ) by hyping it in a coordinated “launch” that uses the word “amazing” a lot, but that’s not how I roll. Instead you get about 100,000 words typeset on 238 pages with normal margins and normal line spacing printed on dead trees in a once popular format called a “book” for $19.95+shipping. I picked the book format because I would like it to become a classic rather than a hyped one-nighter informational product. I have reserved all rights for myself, so it will be available forever. Compared to a PDF, the data integrity of a book is incredible—it survived several weeks in Zev’s backpack, yet remained readable—and the concepts of the book should remain valid for many years to come. You should be able to pass it on to your grandchildren and the concepts will remain valid. Admittedly, the book has no search box, but it does have an index, which hopefully isn’t as frustrating to use as it was to create. Also you can underline and make notes in it. It’s also good for clobbering people on the head with every time they ask you why you’re not into mindless spending. The book can also be composted. Try that with an e-book. It is also heavily crossreferenced which some find very useful and others find very distracting. Zev and I had a big discussion about that which I won by veto. My argument was that if seeing a parenthesis like (see section 5.2 and page 211) in the middle of a sentence bothers you, just try to ignore it. Don’t feel compelled to look everything up as you go along. If you buy it new, it’ll cost you $19.95. I had to put the price somewhere. Some people have asked me why I’m not giving it away for free since I’m financially independent: For the same reason that sports stars don’t play for free and rock stars aren’t giving away their music for free! Putting a price on something makes it possible to see how much the work is valued by other people. In this case, I figured that the cost of a pair of pants or a restaurant meal would be a good marker. No, I’m not going to trade you my book for your pants, but you just might try inviting DW and I out for dinner. I do however think that if you have any interest in personal finance you will find more value in the book than you would in eating out for one meal. If not, well, then there’s probably nothing in the book which can help you with your financial situation. It’s beyond you. Or you’re beyond it. If twenty bucks is too outrageous for you, you should be able to sell it again for about $15 thus recovering most of your cost. You can’t do that with an e-book. It may also be that ownership of the book would cause you to exceed your carefully cataloged and documented list of 37 possessions causing a loss of face in the world of online minimalists. In this case just declare that books don’t count. Or leave it in an inconspicuous place denying any ownership to it. Say it’s “your friend’s.” Or just sell it again already. Would you want to sell it? I don’t think it’s a book you’d want to reference constantly. On the other hand, until you internalized its concepts, it’s probably good to reread once a year. Much like a good book on investing, it’s worth rereading a few times. The book has been tested on people and shown to teach them something new each time they reread it. I also tried testing it on our dog, but he was mostly interested in chewing on it. Dogs are stupidchallenged. Anyway, in the name of saving money, why not get it from the library? Well, go ahead and ask for it. I’d love to see it appear in libraries. If YOU don’t take action and request it from your library, you probably won’t see it. More than 100,000 books are published in the US each year and they won’t all automatically respawn in your local library. Typically libraries have a page somewhere, where you can ask them to buy books which aren’t in their catalog. Consider doing this even if you already bought the book. Spread the word. However, also consider your opportunity costs in waiting for it to appear in the library. Tough call, I know, but some people have reported saving thousands just by reading the blog. Of course how much you can save depends on the difference between your starting point and your ending point, duh! The ending point will be an interesting and enjoyable life at $6000/adult/year. That’s probably less than what you’re spending now. I do offer an e-book on kindle (amazon.co.uk, amazon.com) due to excessive hasslingpopular demand. You can download free readers for Mac (10.5/intel), iPhone, Blackberry, iPad, Android, and Windows PC. You can also try to borrow a copy (for free) on lendle.me. If you’re using linux or your mac has a powerpc processor, you’re out of luck, get the paper book and complain to amazon. For non-US readers, It is also available on your local amazon. Since the book is available now, this is probably mostly of historical interest now, but it gives you an idea of the effort it took to get it ready for publication. Write the book (the easy part). Reread, edit (DW&I), and format to something readable to order a print copy to see how it will look. Fix fonts, etc. for printer/publisher. Write back cover text and online store text. Wait for proof to arrive. Mail edited text back to me. Add in edits. Reformat the book. Print it out. Mail prints back to editor for final check. Third reformat. The page count is now known. Get the cover template from the book printer. Coverdesigner adjusts template for revised spine width and sends cover to me. The book printer approves cover + interior. Register copyright. Pirating is now a federal felony. Arrrrr! Book is for sale at printer. Wait for review copies to arrive. Book is for sale at amazon. Book is for sale via kindle. It took almost 6 months between finishing the first step (which took 22 months) and the last step. Keep in mind that standard book publishing takes around 2 years—and that’s after the manuscript is in. Meanwhile, you can take a look at the book’s bibliography.